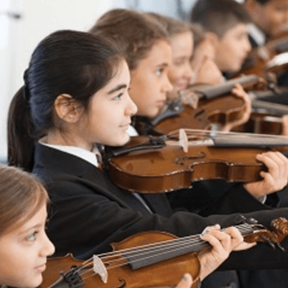 1000 school children receive violins on their first day at school this week. 2700 children are now part of the Andrew Lloyd Webber Music Programme with the Andrew Lloyd Webber Foundation, Charles Wolfson Charitable Trust and Dame Alice Owen Foundation combining to give unrivalled music opportunities to pupils in eight London schools. Click here to read the press release.